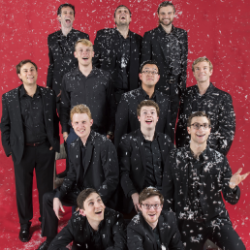 Ragazzi Continuo Presents "An English Christmas"
This holiday season Ragazzi Continuo, the adult a cappella choir composed of graduates of the acclaimed Ragazzi Boys Chorus,brings Bay Area audiences An English Christmas, a jaunt through familiar sacred and secular texts. Inspired by tunes from the King’s College Cambridge Lessons and Carols service, this holiday series takes listeners on a tour through the Anglican canon, including the 15th century folk song to the sweeping polyphony of the English Renaissance, World War I era carols, and more. For tickets ($25 General Admission, $20 Early Bird - Online, $15 Seniors/Students) or more information, visit www.ragazzicontinuo.orgor email info@ragazzicontinuo.org.